So how does this whole thing work? How long have you been doing this? 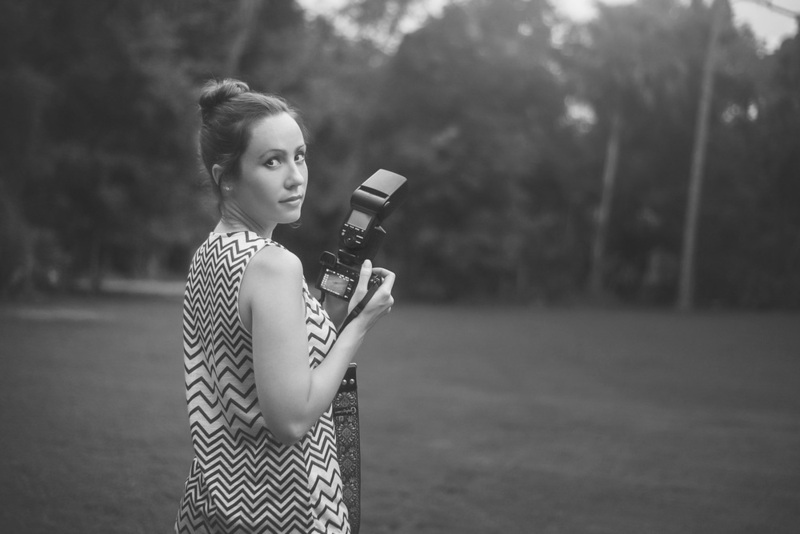 I began as a serious hobbyist in 2007 when my husband bought me my first "nice" camera, and I began teaching yearbook and photography around that same time at a local Tampa high school. I did not start shooting professionally until 2011, and I officially started my business on my birthday in October of 2011. What areas do you serve? I serve the greater Tampa Bay Area, and as far north as Ocala and as far south as Sarasota. For Weddings, large events, and special occasions, I serve all of Florida. In the summer (June and July), I will travel for weddings to any state. What is the best time of day to book? Early morning or late evening is the best time since I am a natural light photographer. The lighting is at its softest, which means you will simply look your best. Overcast days are actually great at any time since the harshness of the sun is muted. Just remember, we want to avoid shadows and squinting. What should I wear? I love color… and especially so when the colors compliment your eyes, skin tone, or the setting we choose. Solid white or black can be boring and does. And quite honestly, it doesn't photograph well. What's fun is to put women in bold-colored prints, and then dress the men in complimentary solid colors. Experiment with colors and patterns, but be sure you don't get too wild and end up clashing. What's important is that you pick a color palette the whole family can look good in. Need help? Ask me or check out Pinterest. How can I pay? Phinney Photography now takes cash, check, credit card (3% processing fee), or PayPal (3% processing fee). About how long will it be until I can see my proofs? Your proofs are typically up in about a week after your session for you to make your selections in a password-protected gallery shared directly to your e-mail. It's a quick and easy process, and I will be notified once you make your selections. I love all of my proofs! Can I purchase more images than what were included in the package I paid for? Of course! Just simply mark all of your favorite proofs during the proofing process, and I will quote you the price difference and payment options. About how long until I will receive all of my edited photos? After you select your proofs, it takes roughly 2-3 weeks for all of your edited high-resolution images to be delivered in your password protected gallery for your free downloads and print and product ordering. About how long will my final images be available? Traditional sessions will have a guaranteed 30-day gallery to download your gallery onto your computer and order prints and products with your discount code. After this set time, the images will be removed due to storage needs. There is a $75 fee if images need to be culled and uploaded again for download and purchase. Weddings have a 90-day gallery. All images are guaranteed on back up for 1 year. After this time, images are removed due to storage needs. What if I request additional work beyond the package investment? If you would like additional edits above and beyond the provided package, such as work with additional retouching or editing styles, there will be a per image fee or per hour fee depending upon the unique request. All images are gently retouched and edited for a rich yet natural style and are represented by the work on this website. Please do NOT enhance, crop, or alter any copyrighted Phinney Photography images in any way. Please do not use these images commercially without permission from Phinney Photography. Please do not sell the images for profit to third parties. If you post your images from Phinney Photography, please give photo credit to Phinney Photography and share the link to the website for each image shared: www.PhinneyPhotography.com. All work sold or posted on this website and blog is copyrighted. The quality of our product is of great importance, and it is essential to us that our work is only presented in its original, professional form with credit to the artist. Thank you kindly for your respect and support in this matter. PHINNEY PHOTOGRAPHY IS A REGISTERED AND INSURED BUSINESS. ALL SALES ARE FINAL. 10% GOES TO CHARITY TO PAY IT FORWARD. BLESSINGS.